Adventure sports are the sports that are played under extreme conditions. These involve a lot of thrill and peril. Though there is no doubt about the fact that these help you to overcome your fear and satisfy the adrenaline rush of the body but it has certain disadvantages as well. It is surely a great source of revenue for the state government as these are quite an expensive sport on the one hand but one limitation that it poses on the other hand is the space barrier. These are one such sports that cannot be played anywhere or everywhere. Now if you are planning to play the sport then it is vital for you to know which all locations support these games. Kashmir is one of the most popular adventure sports destinations in India. There are many adventure sports that can be played in the heaven of earth. Some of these are snow sports like Snowboarding, ice-skating and Skiing. However, the most popular one is Skiing in Kashmir. Skiing can be done in Gulmarg in Kashmir. The same can also be practiced in Kufri in Shimla and Auli in Uttarakhand . several other winter sports can also be played here though Skiing is the major attractions of Kashmir in addition to ice-skating in frozen lakes and hiking in deep valleys. The state is popular as it supports river rafting. Several rivers find their source here in Himachal Pradesh. Rivers of Great Himalayas like Chanderbhaga, Bhagirathi Satluj and Ravi are some of the best rivers that support extreme sports like white water rafting in India. The rolling white water of these rivers allows playing the extreme sport in tremendous conditions. These sports include challenging adventure sports activities of river Rrafting. To be precise Manali and Kullu are some of the appropriate places for adventure river rafting in addition to kayaking and other water sports. Yet another state in the laps of Himalayas that consists of immense peaks that facilitates adventure sports is Uttarakhand. The state is famous for Mountaineering . Not only mountaineering but the place also supports several other climbing activities. Either the areas of the place are covered with dense forest or with snow covered mountains with rocky hills and beautiful meadows. Mountain Climbing is quite a challenging sport. It needs skills to choose and perform the right technique at the right time. To be precise, Garhwal and Kumon region of Uttarakhand offers mountaineering, ski,rafting, hiking and rock climbing sports in India. Not only the states of India but the union territories of India also offer great opportunities for adventure sports. The Andaman and Nicobar islands are and famous for its virgin beaches and unexplored beauty of nature that are famous for exciting scuba diving and snorkeling. Havelock Island is one of best sport to explore the untouched beauty present beneath the water of the Andaman Islands. Kerala has a lot to offer to you as far as the extreme sports are concerned. One such sport is the Flying Fox. This is quite a fascinating sport. Flying Fox is a unique journey from above the hills, rivers or valley’s with ultra-strong steel zip lines. 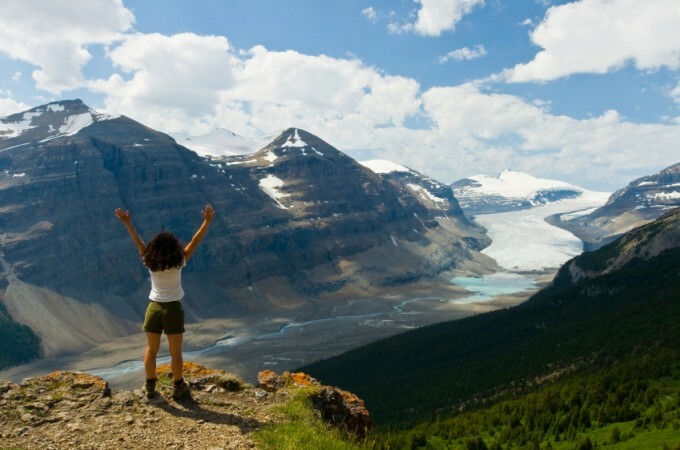 Simultaneously you can enjoy the breath-taking view of down earth. In addition to this, Kerala also offers extreme adventures sports like Mountaineering, Valley crossing and Trampoline also, all of which are fascinating. Bungee Jumping in Karnataka cannot afford to miss the place in this list. The extreme sport bungee jumping is very young sport in India. Also, the sport is quite popular. The same is also provided by Mysore in Karnataka, Rishikesh in uttaranchal and Anjuna village in Goa. Here you can experience the exciting thrill of weightlessness. Rishikesh supports India’s Highest Bungee Jump Platform of 83 Meters. Goa is popular as a tourist destination in India and comprises of world class sea beaches. Arabian Sea beaches of Goa facilitate some of the most popular water sports. These include the adventure sports like Jet Skiing, Parasailing, Swimming, Snorkeling and Kayaking. The ocean water Sports also includes In the water and On the water sports. One of the most preferred adventures sport destination in India are the Western Ghat hills of Maharashtra. 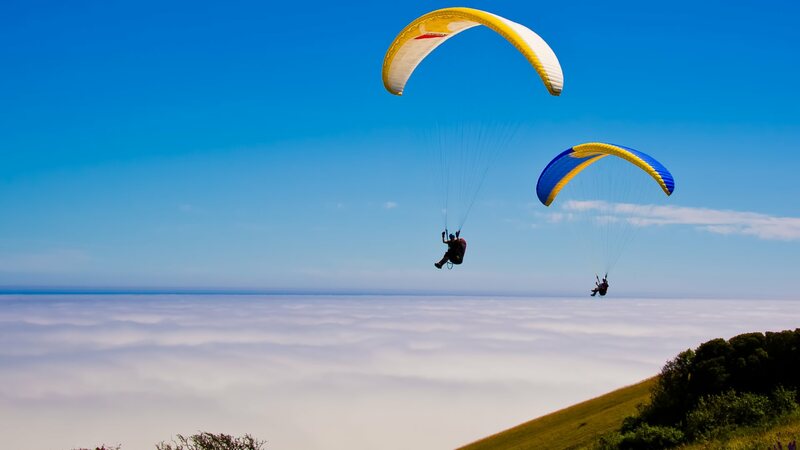 The places in Maharashtra like Panchgani, Kamshet, Lonavala and Mahabaleshwar are quite popular for recreational flying sport Paragliding. Paragliding is one of the most popular adventure sport that many people around the world prefer. Madhya Pradesh is not only popular as an adventure sports destination for Rappling Valley Crossing, Jumaring and mountain climbing but also equally popular for Rock climbing. Satpura mountain ranges facilitate these sports. Pachmarhi, Orchha Gwalior,Chanderi and Jabalpur are the places that host and support these activities. Capital city of the state, Bhopal is popular for adventure Boat Racing. All in all, these are some of the places in India where you can enjoy the adventure sports. Here I must drop in a suggestion before concluding that adventure sports are quite life threatening, therefore these should be played under only expert guidance and by taking into consideration all the guidelines. One more thing that you need to take care of is that only quality and tested equipment should be used while playing these sports. A good and very informative read. I have also visited approx all these destinations and my favorite one is Uttrakhand.Thanks for sharing this ultimate list.